Hello from Cyprus! 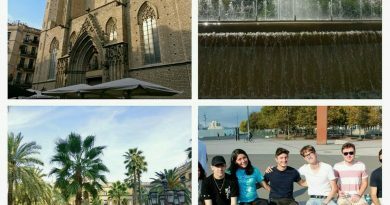 I returned home about a month ago and here I am, updating my blog for the last time. 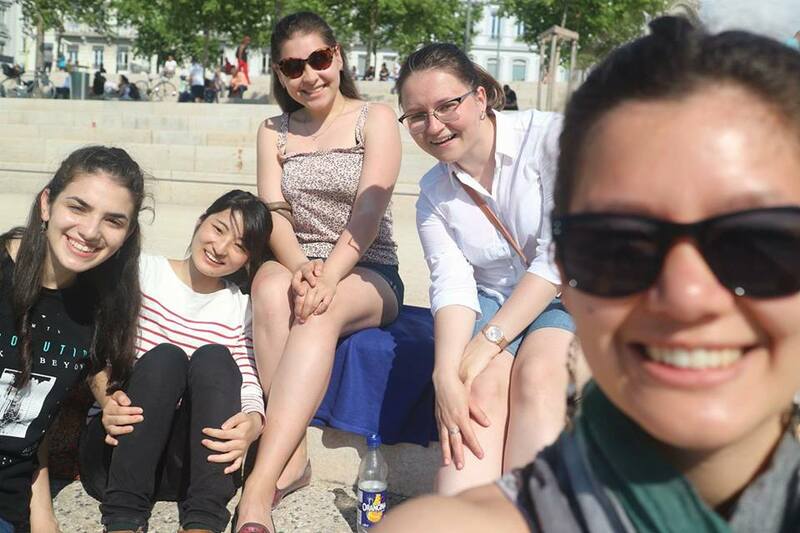 My last couple of weeks in Lyon were the best weeks of my year abroad. It was great because I got to spend quality time with my friends, go back to my favourite places and travel. This time, I will write about French resistance and Lyon’s position in particular. 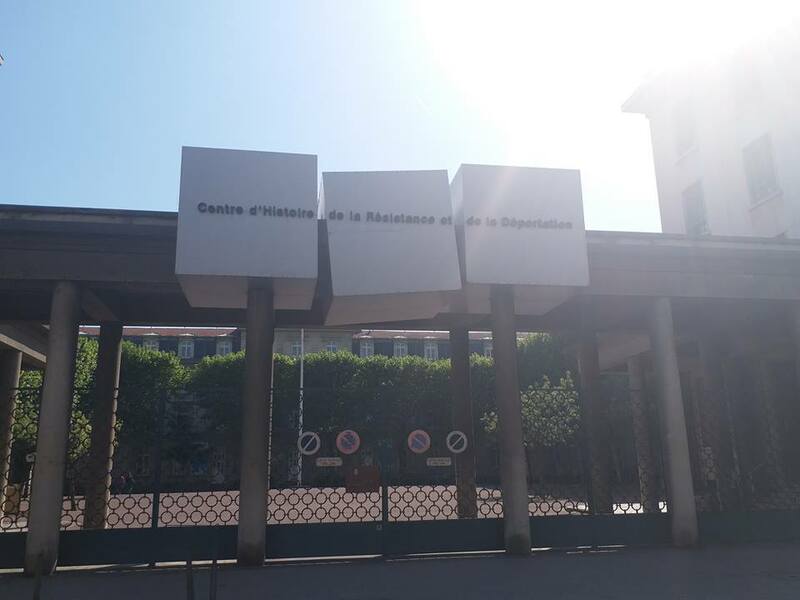 I will start by giving some historical background from France’s perspective, then talk about Lyon and finish by writing about my visit to The Resistance and Deportation History Centre in Lyon. Elle est la conséquence directe de la première guerre mondiale. Le nationalisme en Europe et en Asie est aussi une autre raison à l’origine de la guerre. 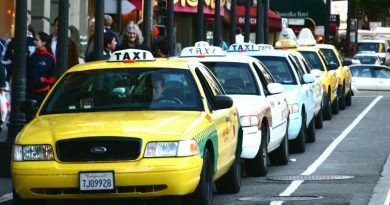 Près de 64 millions de personnes sont mortes pendant le conflit soit 3% de la population mondiale. Quant à la France, elle est défaite par l’Allemagne nazie le 10 mai 1940. En 1940, la France est divisée en deux parties. La partie nord est la zone occupée par l’Allemagne nazie tandis que la partie sud est la zone libre. Vu que Paris est dans la zone occupée, la capitale de la France est déplacée à Vichy. Le Maréchal Pétain, qui désormais prend la tête du pays, collabore avec l’Allemagne et l’aide en arrêtant des juifs. Je vous conseille de regarder le film Au revoir les enfants pour approfondir vos connaissances à ce sujet. Elle commence le 18 juin 1940 avec l’appel fait par le général Charles de Gaulle à Londres, à la radio BBC. Il y a deux types de résistance : résistance intérieure (sur le sol français) et résistance extérieure (en dehors du sol français). 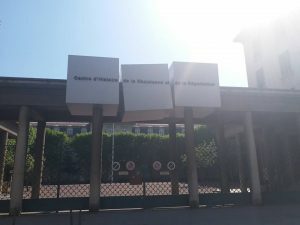 Au début, il y avait des problèmes d’organisation pour la résistance. 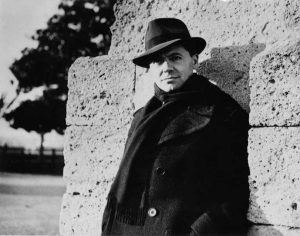 Jean Moulin est chargé d’unifier les différents mouvements de la résistance et faire communiquer la relation intérieure avec la résistance extérieure. Il est donc un personnage très important pour la résistance française. 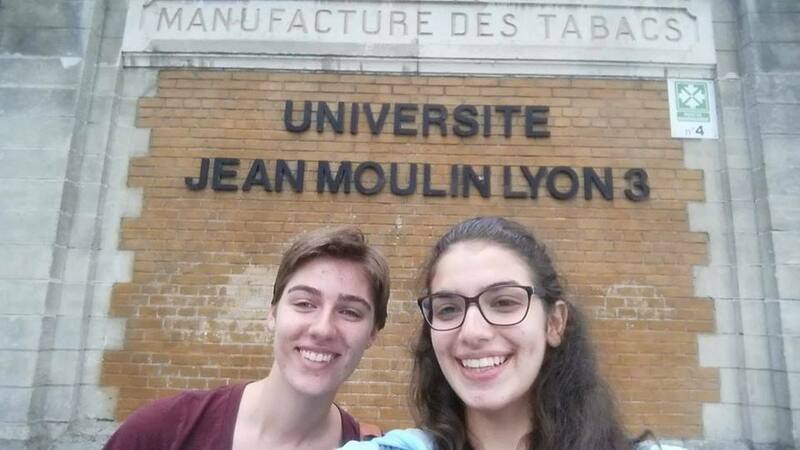 Il est lyonnais et mon université à Lyon porte son nom. 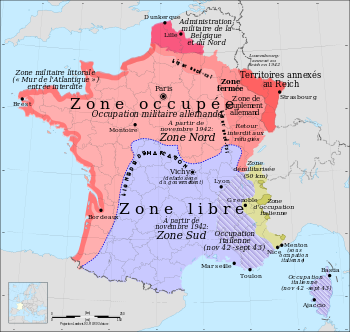 On peut facilement voir sur la carte française que Lyon a une position stratégique : la ville se trouve près de la frontière entre la zone occupée et la zone libre. 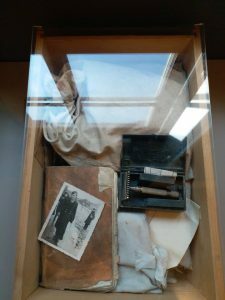 De plus, son architecture (des traboules) permet aux résistantes de se cacher de la gestapo. Lyon est fier des gens tels que Jean Moulin ou Antoine Saint-Exupéry qui ont participé à la résistance. 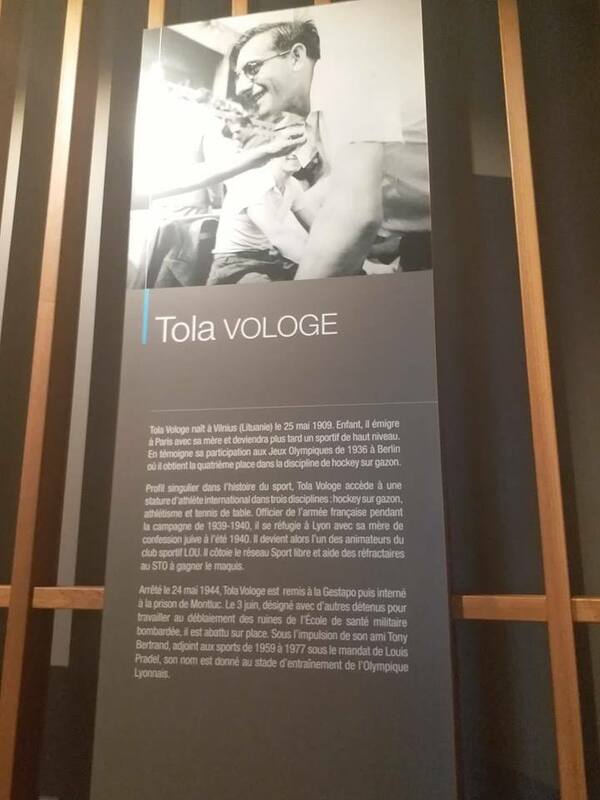 Since my host city had such an important role in French resistance, I thought I needed to see this museum. I took a thirty minute walk from my place to the museum on a warm Sunday. I passed by a small marketplace on the way and chatted with a woman who sold second-hand books. When I told her that I was going to visit the Resistance Museum, she said it was their national heritage and one of her favourite museums in Lyon. 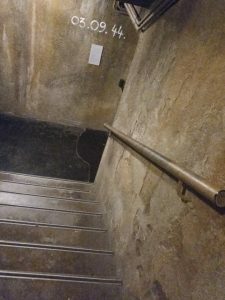 I learnt that the building of the museum used to be a military health college and the cellars were used by the Gestapo to hold the victims. 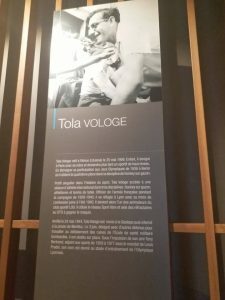 My visit in the museum started with information on historical background, similar to the parts I wrote in French in this post. Other than that, there was a temporary exhibition showing a typical home during that period of time. 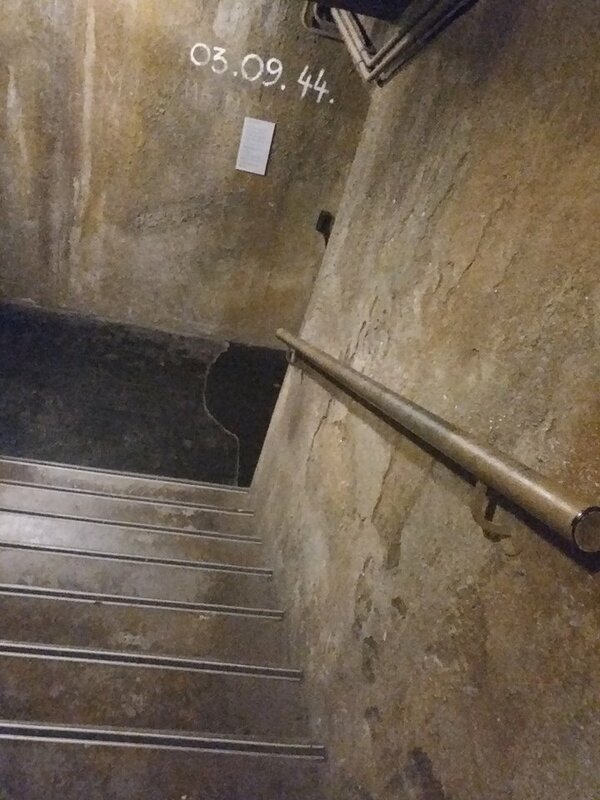 The stairs leading to the cellar where the victims were held reminded us of the dark times and there were meaningful dates on the wall, like this one. 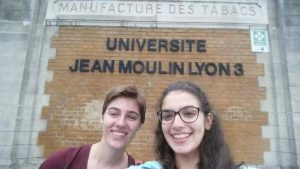 3 septembre : Lyon est libérée par des troupes franco-américaines. What I liked most about the museum was that history was presented in such a way that it felt real. Sometimes we are told history in a mechanical way, without emotions where it is all about when a war started, when it ended and its start and end dates. Here, it was different. We had the opportunity to watch the interviews of people who were involved in the war. 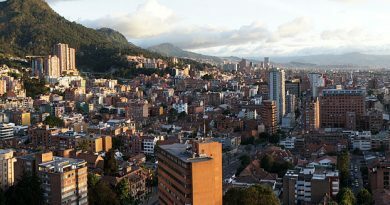 They all had a different role; there were interviews of members of the resistance, the children of the members and people who witnessed the war. Those were the people who were trying to hold on to their lives while their country was in war. To sum up, I was able to learn beyond what’s written in history books or on the internet. For example I learnt that Brasserie Georges, which is next to the main train station was one of the places of the resistance. I must have walked past it a hundred times, yet I had no idea about its history.